An accident occurred yesterday in an area of chronic poor parking at the bus lane and stops near Plumstead station. Parking was as bad as ever at the time. A van and 4×4 collided. 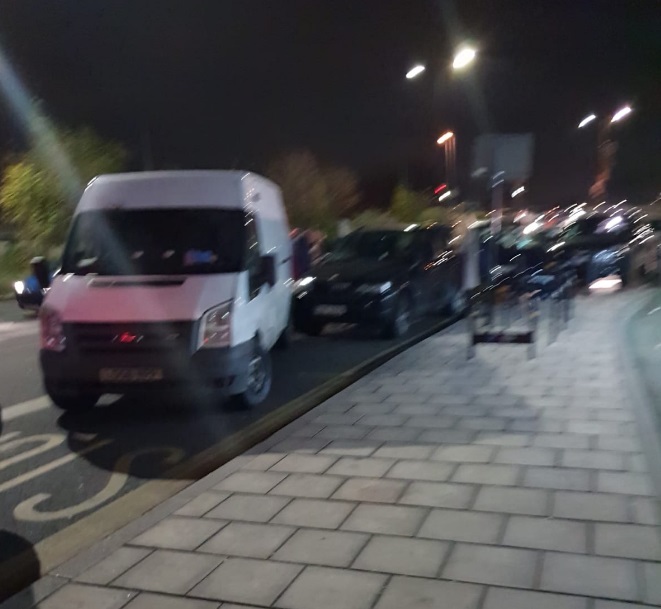 This area has seen lax enforcement for years despite hundreds of reports to Greenwich Council, who still state “report it” when contacted despite the fact it regularly is to little avail. 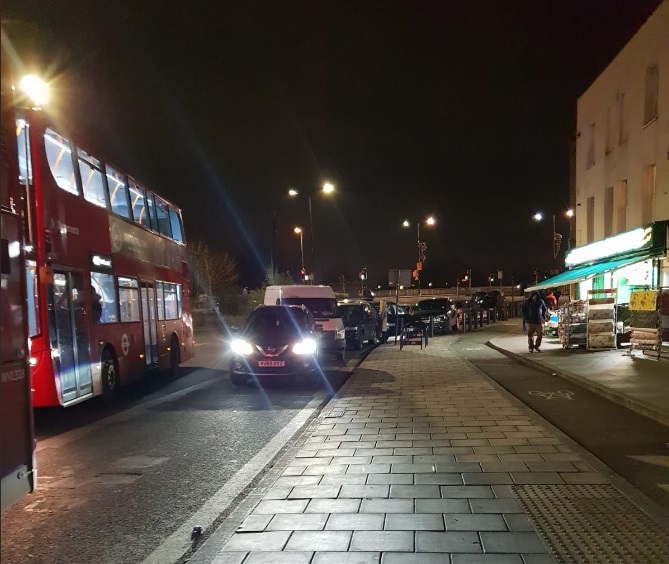 At least 130 bus drivers recently signed a petition and handed it to Greenwich Council threatening to no longer stop in the area. This has seen some increase in enforcement. Yet as a post last week revealed, Greenwich Council have very few staff (less than most of the past decade), are extremely stretched and so cannot maintain a presence for long. Given staff are self-financing it’s all a bit odd. Even now, any extra staff hired in coming months could be minimal in number and only temporary. TfL are also being asked to look into CCTV. Greenwich Council themselves have still not confirmed, despite requests, whether they have agreed to using cameras on traffic infringements. The vast majority of authorities in London have done so. I have nearly been in an accident myself there on a number of occasions. If you say anything to the people parked there you just get a load of abuse. Sort yourself out Greenwich council!